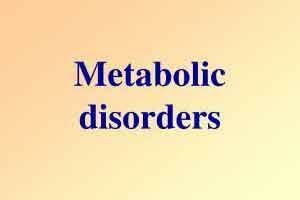 Postmenopausal women with metabolic syndrome report lower sexual activity, desire, and sexual satisfaction, according to a new report. According to a new study published in The American Journal of Medicine, researchers looked at the role metabolic syndrome and cardiovascular disease play in postmenopausal women sexual health. The study also showed that coronary artery disease was more prevalent in women with low rates of sexual activity. Researchers from the University of California surveyed 376 postmenopausal women using a Female Sexual Function Index (FSFI) questionnaire. Waist size, diabetes and hypertension were additionally associated with decreased sexual activity and elevated triglycerides were linked to lower desire, revealed the study. “In these healthy community-dwelling older women, the prevalence of low sexual desire was significantly higher in women who met the diagnostic criteria for metabolic syndrome,” explained Susan Trompeter, MD, University of California. Researchers also looked at various cardiovascular events and their effects on sexual health. They discovered that heart attack, coronary artery bypass, and angina were associated with decreased sexual activity, but that those cardiovascular factors did not influence sexual desire or satisfaction. Additionally, women with low sexual activity were more likely to have coronary artery disease. “Metabolic syndrome in women may be more closely related to coronary artery disease than other cardiovascular outcomes,” said Elizabeth Barrett-Connor, MD, UC San Diego School of Medicine.